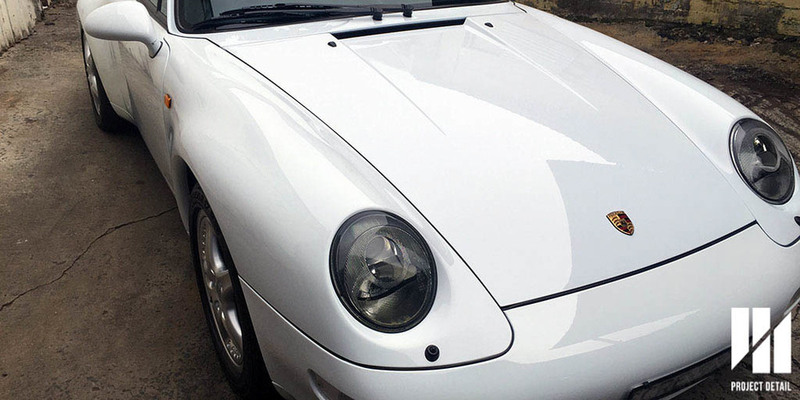 1997 Porsche 911 (993) Carrera in Solid White, after paint correction and Ceramic Quartz Coating. Project Detail prides was designed from the ground up as a premier Car Detailing Hub, with studios located in Sydney & Melbourne. One of our core focuses is classic vehicles that the owners see great value in restoring, preserving and maintaining. Paint Correction or aka 'cut and polish' is a major component of this, as it allows us to bring back cars and often preventing the need for respraying. In some cases, a major detail can actually increase the value of a car. 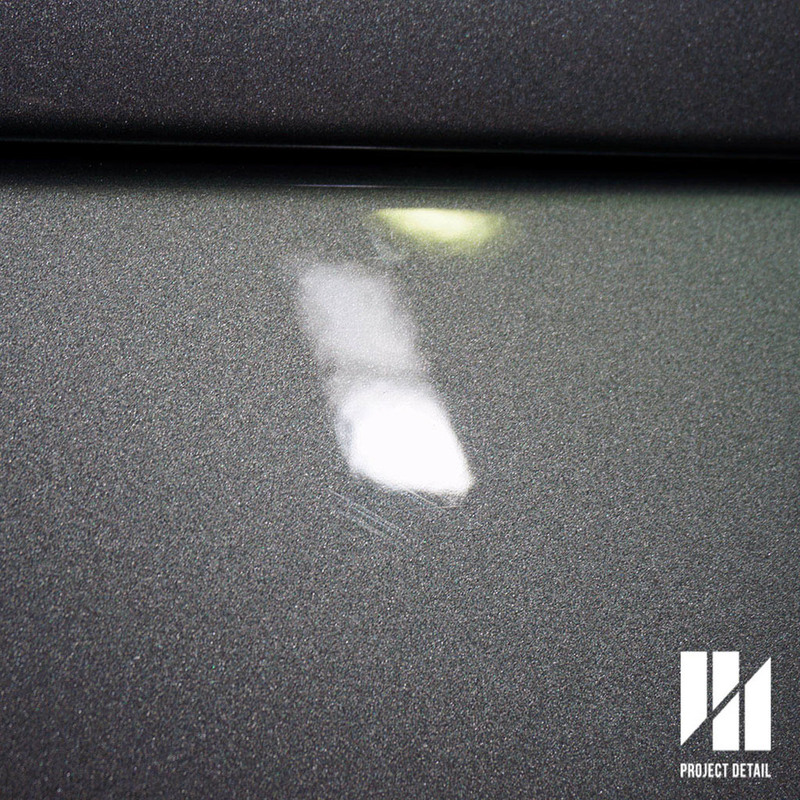 To find our more about Project Detail's Paint Correction services, click here. 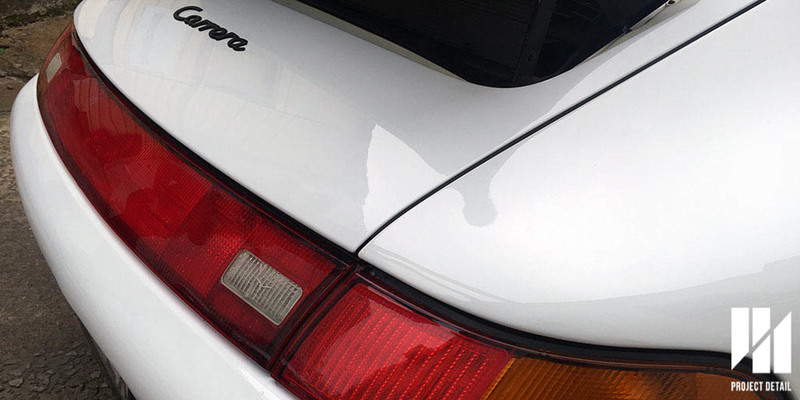 A fantastic example of this is this 1997 Porsche 911 (993) Carrera in White. What makes this car special not only to the owner but in general is the fact it's a coupe (not a cabriolet or targa) and a manual transmission. This make's coveted by collectors and enthusiasts. With the 993 being at the twilight of the air-cooled engine's, it definitely is a vehicle you want looking it's best and storing away. When the Porsche came to Project Detail, the car while stunning was looking very tired given it was nearly 20 years old. Upon inspection after our 21-stage wash and decontamination process, we saw that there were medium level swirl marks and fine scratches all over the body. Unfortunately, this meant that the body could not look as glossy as it should have and the paintwork looked quite faded. The only saving grace the owner had was the fact it was white in colour. If the had been Guard's Red, Midnight Blue or Black, the defects would show up very aggressively. 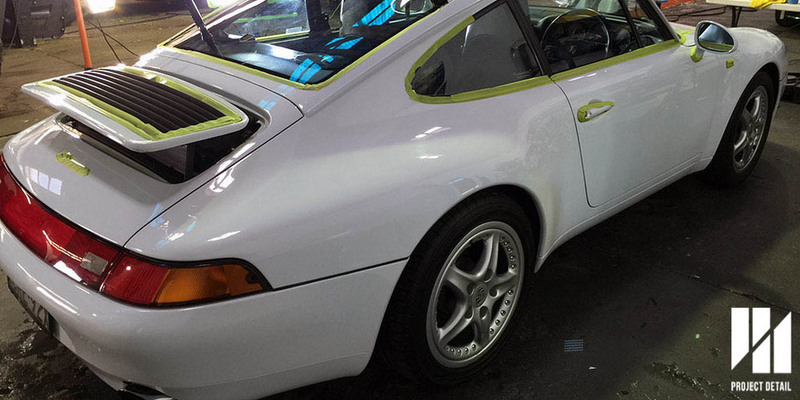 After we had prepared the vehicle for paint correction by taping all the sensitive areas we began a long and arduous paint correction process for the Porsche. The paintwork being white, meant we could only see the swirl marks under the brightest of LED lights, making taking photos difficult. We performed 2 stages of paint correction on the Carrera. The first stage to 'cut' away the scratches, swirl marks and oxidised paintwork leaving behind a levelled surface but dull and requiring further polishing. The second stage, uses much finer polishes and softer pads to burnish the paintwork to a glossy finish. Looking through the photo's you can see the progress of the paintwork, from a dull and defect ridden condition to a smooth and glossy shine. 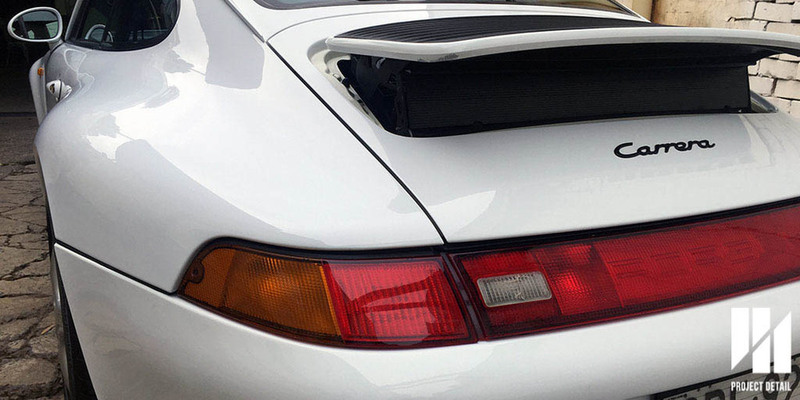 The Porsche 911 Carrera looked unbelievable once it was finished. Not only was the owner over the moon, he informed us months later that the value for his car had actually increased. We were absolutely pleased, and what amazed us was just how glossy solid white was. Paint Correction is a time consuming process, the detailer spends hours on end polishing the paintwork in order to achieve the best paintwork possible. Leaving a defect free, swirl free glossy finish. To find our more how Project Detail can improve your vehicle or to simply enquire more, please contact us by clicking here. Why Do We Do Paint Correction on a New Car? Project Detail is a dedicated car detailing and automotive customisation studio located in Gladesville, Sydney and Moorabbin, Melbourne. Our sole focus is on the best quality for our clients vehicles. One of the most common questions we receive when it comes to new cars is 'Paint Correction for a new car? Really?' or 'why do you need to buff a new car?' We've put together this article in order to help provide as much information as possible to assist prospective and current new car owners make the right choice. 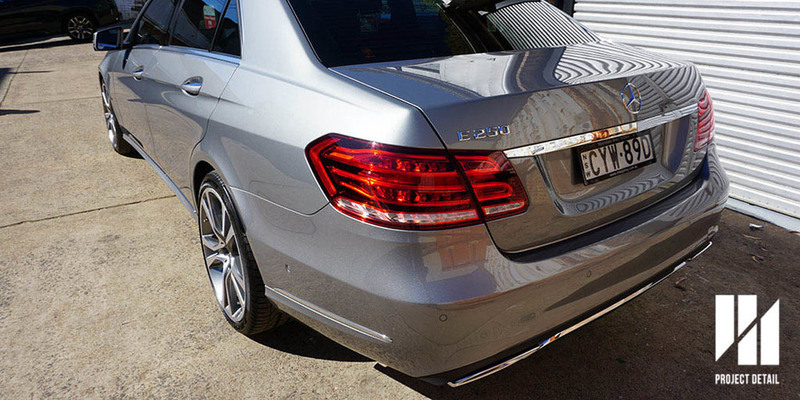 While not the most extreme example, this is still a brand new and freshly delivered Mercedes E250. The owner was very insistent that the car did not need polishing. Our inspection after washing proved otherwise unfortunately. 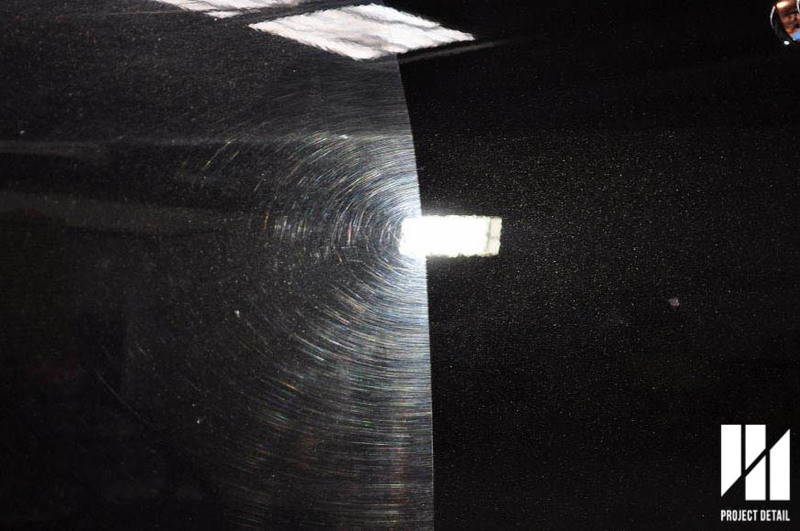 Painful swirl marks installed on soft and black paint will require paint correction. This could happen over time or worst case dealer service washes can make this happen. Unknown to most car buyers from dealerships, the vehicle you are purchasing rarely is bought off the floor. So the shiny vehicle you are seeing is not the same as the one you are getting. The vehicle the majority of buyers receive from $10,000 hatchbacks to $500,000 super cars is brought into the country on a ship. By understanding the entire logistical journey of a new car, a new owner can being to see why professional detailers recommend polishing or paint correction their new vehicle. The car itself when finished at the original factory would be close to if not perfect. However, from the factory and onto the ship many things can occur to damage the paintwork such as chemical overspray in the hull of the ship or scratches in transit. Secondly, some damage may actually occur from during the transport on the train or truck. Recently, quite a few of the Ford Mustangs that were transported by train were delivered into Sydney with heavy iron fallout as a result of choosing train over truck. However, more commonly are stone chips which can occur. Most often they are professionally repaired and the only people to notice would be a detailer who spends hours inspecting and looking at each panel under bright lights. Thirdly and most likely cause of swirls and paint defects is actually during the pre-delivery process. Ironically, the service which is designed to prepare and 'detail' the car (we use that word very reservedly in this context) actually damages your car the most. Worst case scenario, when dealerships decide they need to 'buff' cars they are almost always using the wrong materials and equipment which can often lead to holograms and buffer marks. To find out more about holograms aka buffer marks, check out our article here. This is simply a case of economics, the business model of dealerships makes profit from selling vehicles firstly and then aftermarket products second. Therefore, the detailing or washing they provide is almost on a complimentary basis but still costs them wages so it would be in the dealerships interest to save as much money in that as possible. This means, usage of cheaper equipment and chemicals, lack of clean towels, lack of supervision and quality controls. If a towel is dropped on the ground its dusted off and goes back onto your car. Dirty chamois and cloths are used and these result in scratches and swirl marks on your 'new' car. Because of the cheaper products used, customers are often unaware of the real condition of their car and while a customer deserves a perfect car upon collecting, the experience is often otherwise. 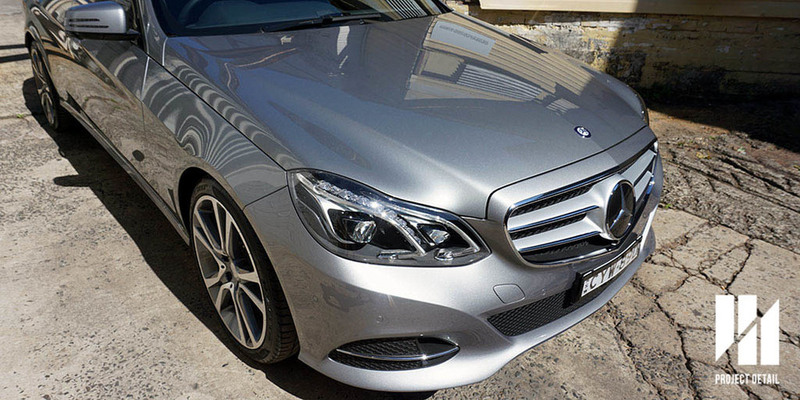 The Mercedes Benz E250 looking pristine after Paint Correction & Quartz Coating is finished. When Project Detail receives a new car, we begin with our 21-stage wash and decontamination process. Many dealerships will leave nasty glue residue on the vehicles as the cars are originally covered in plastic sheeting that is removed during the pre-delivery process. Most often, customers will come to us for paint protection application of our ceramic quartz glass coating. After the paintwork is inspected, we confirm our original quote and inform the customer of the condition of the paintwork and how much paint correction it would need. Thankfully, 90% of new vehicles only require a stage 1 correction. However, a minority of vehicles will need much more extensive polishing either due to extensive damage from the dealership or difficult paintwork thats too soft or too hard for example. Once the process has been finished, and the paintwork is now swirl and scratch free, the glass coating is then applied in order to give the car genuine long term protection. This ensures the car looking stunning and we often tell our clients, this is how your car should have looked upon delivery, it will be better and noticeably different. We hope that this article has helped go through the process for you in terms of the preparation and delivery of your vehicle. If there is any questions or further information, please feel free to leave a comment below or click here to contact us. At Project Detail, we are asked often on a daily basis what are swirl marks and/or how I fix them? It occurred to us that some people aren't aware of swirl marks and most people do not know what is causing them. 50/50 Shot showing medium to heavy Swirl Marks. Right Side - After 2 Stage Correction. 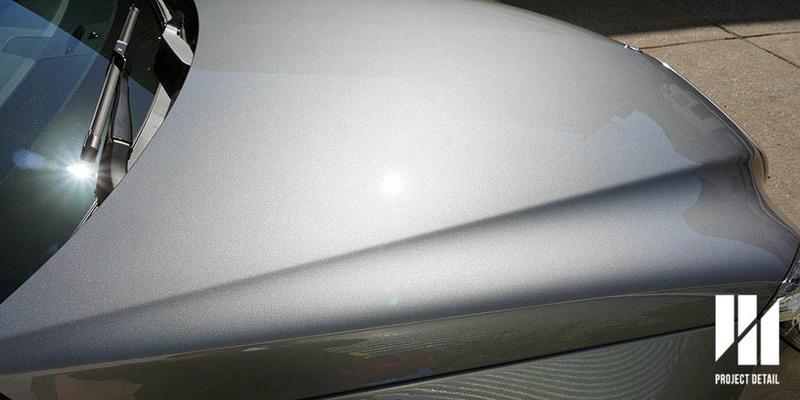 Swirl Marks are actually a culmination of fine scratches on the surface of the paintwork. When light is shone on the surface of the paintwork, what appears to look like 'spider-webs' or circular marks are what detailers call 'swirl marks.' These are regarded as a paint defects and the side effect of these swirl marks is a duller finish and your car not showing it's true colour. The reason for making the paintwork look duller comes down to each individual scratch making up the swirl marks. 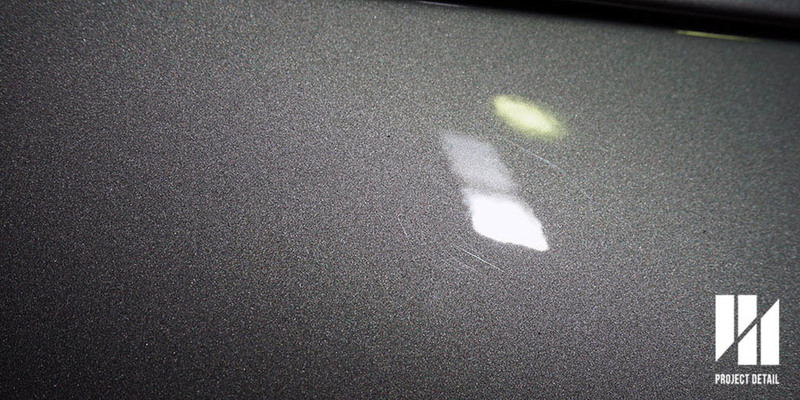 These scratches actually refract the light hitting the surface of the paint. When light normally hits a flat and unscratched surface, the light reflects directly to your eye. We process this as 'Glossy,' therefore the flatter and more perfect a surface is the glossier it looks to our eyes. When a surface has imperfections and begins developing swirl marks, the surface begins to refract the light and the surface appears dull, increasing in effect as the swirl marks get worse. BMW E90 in Carbon Black. 50/50 showing true colour after correction versus heavy swirl marks. Why & how do Swirl Marks happen? The biggest cause of swirl marks is through bad washing methods. We will cover this in a future post in terms of just how important good washing methods are for maintaining your cars paintwork. But believe it or not, your cars paintwork is actually quite delicate. Over time as it gets covered in dust, debris and bird poo etc. these are all 'abrasive' matters. Meaning if they are dragged back and forth they will scratch the car. Therefore, learning how to properly wash a car is important if you wish to prevent swirl marks. The second reason is harder to determine. Physical contact with our car can and usually happens naturally over the course of the cars life. Whether friends, family or the owner leans on the car or touches the car at some point will ultimately lead to fine scratches developing which in turn become swirls marks. The final reason is related to the first reason but we feel it must be highlighted again. Bringing your car to a car wash or a detailer whose outlook is not focussed on quality but rather quantity can mean that their equipment is usually called into question too. Dirty chamois, dirty sponges and old towels will often mean your car is literally being sanded while you drink your coffee. Mercedes SL500. Heavy Correction 50/50 shot - notice the true colour versus the original paint. Can Swirl Marks be removed? In short, yes they can. Swirl Marks are thankfully superficial, while they are many scratches they are also very fine. In order to remove swirl marks, paint correction is necessary. To find out more about what paint correction is, click here. Depending on how bad the swirls marks are will dictate what level of paint correction is required. 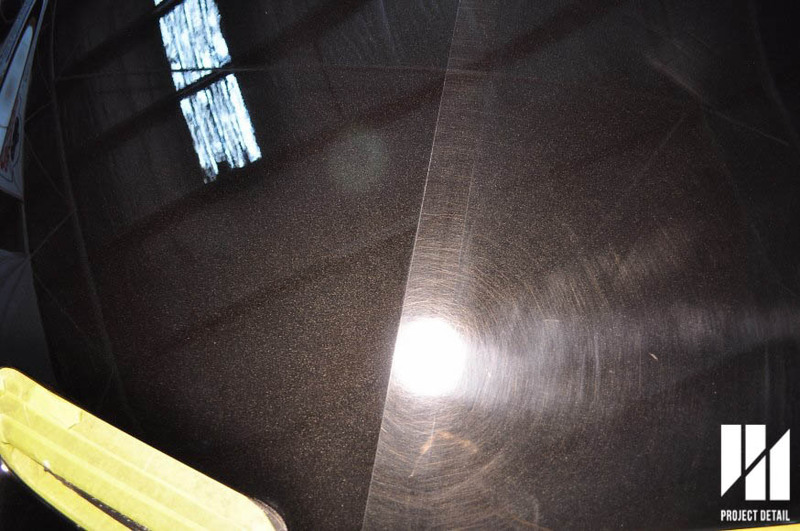 Once the correction process is finished, the surface should show a big difference. As seen in the photo's above, the paintwork is returned to a deep lustre and the clarity allows the true colour to be seen. For more information on how Project Detail can assist your car looking its best, contact us here.